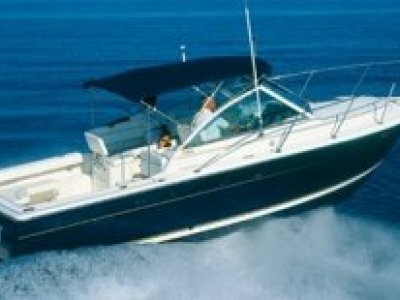 If Mustang and Corvette are the sports cars chosen by passionate car enthusiats in the USA, then the same can be said for INTREPID boats in the boating world!!! Built to exacting standards and literally order by order (each one is custom built for a client - stock boats are never built!) each Intrepid is unique to the next but yet of the same DNA. The boats are all resin infused with complex molding to produce boats which are amazingly solid and extrodinarily well designed in all areas. Testement to this is the fact they are the prefered tenders to most megayachts which need robust, stylish, practical and versatility. This one owner 323 Centre Console was delievered new to the opposite side of the world from Florida (where they are built) and has enjoyed a 'lazy life' being used for the few summer months on the island of Sardegna in Italy as a boat to head out from the port and find a quiet bay to relax in, sunbake and swim from. 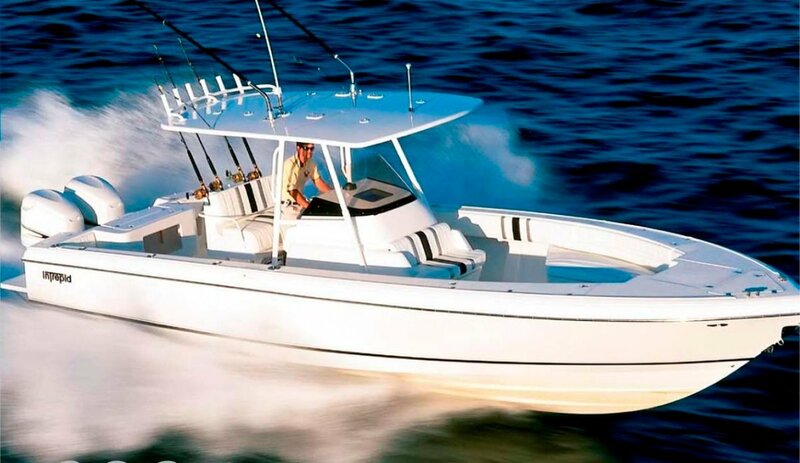 She is spacious, equipped with powerful yet efficient Yamaha 250hp's and includes many great options such as hardtop, hull side opening door, large double helm seat, aft foldaway lounge and standard is a fully fitted toilet under the centre console unit. 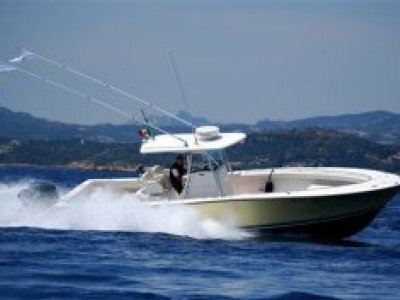 For fishing, sunning & swimming, diving or as a tender for 'multi tasking', this beautifully maintained boat is ready to go. 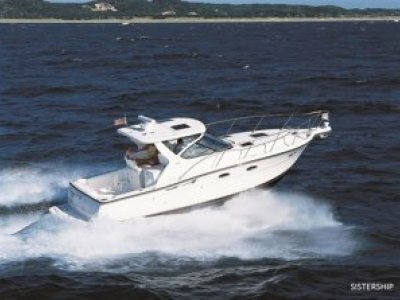 Discover why Americans cherish these boats as they do and they're so popular!! 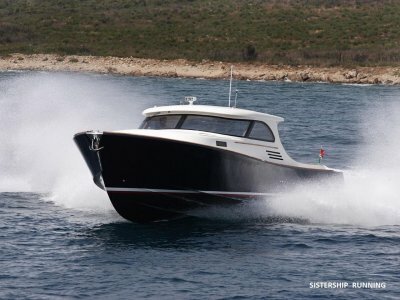 Please feel free contact us for a full color brochure & specifciation list or any questions regarding purchasing this boat, using her in Europe and or (with our full assistance) shipping it home.